God, do I miss Chris Farley. His comedies were always poorly reviewed, but I didn't care. There was something about him that always made me end up in tears of laughter. His style was outrageous, no doubt, but there was a genuine method to his madness that grabbed me and never let go. He was a behemoth of a performer, not just in size but in amount of laughs issued. It was a crying shame that he left us so early in what would have been a long-lasting and lengthy career. "I Am Chris Farley" is a documentary from the people that knew him best. We get interviews with David Spade, Adam Sandler, Mike Myers, Molly Shannon, Tom Arnold, Dan Aykroyd, Christina Applegate, Jay Mohr, Jon Lovitz and several others. But most of all, the very best commentary in the whole documentary comes from his brothers, Kevin and John Farley. Its pretty clear that they helped mold the man Chris grew up to become. Living in the family he was raised in created a infrastructure that would define Chris' talents and styles for a long career to come. Chris Farley wasn't some kid who was abused and neglected, he came from a loving, supporting family and you can definitely feel the love as the brothers reminisce. Some of Farley's biggest highlights are reflected in this movie. All of his best moments from Saturday Night Live, moments from "Black Sheep," and "Tommy Boy," moments from talk shows, they are all here. If you've never seen much of Farley's career, you will love the many highlights that this documentary possesses. You will definitely feel the nostalgia of what made Farley's career so good, and why it was so important in the realm of comedy. So yes, "I Am Chris Farley" is a movie that celebrates the life of Chris Farley, his successes and his failures. Chris Farley's family and friends don't shy away from what killed him, and how they fought to rid Farley of his bad habits. This isn't a movie that jams any sort of political or social commentaries down your throat, rather it tells the story about a man from his family and friends, and it highlights why he mattered so much to so many nationwide and even worldwide. 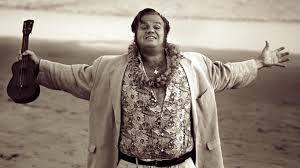 If you don't like the documentary style of career highlights mixed with discussion commentaries, you may find much of "I Am Chris Farley" boring. Since I have been a fan of Saturday Night Live for a long time and really dug what made Farley himself, I loved it. I am definitely the target audience here, and I soaked up everything everybody had to say. But it is a documentary on standard proportions. But, it gives you a good insight on who Farley was, where he came from and how he became who he was before he died. He had a fine a journey, and after seeing this movie, there is plenty to be proud of.